​Learning and caring as one. ​Providing food, education, a home and counselling to those who are destitute, hungry and illiterate. ​Located in Kaptembwa, Nakuru, Kenya. Nakuru Hope's Gabriel Learning Centre and Orphanage was initiated to help make a difference to those who are forgotten in the slums of Kaptembwa, Nakuru, Kenya and to ensure that those who wish to help can travel and volunteer without huge costs usually associated with volunteer services. 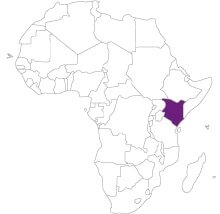 ​Nakuru is located 160 km north west of Nairobi and is the fourth largest urban centre in Kenya after Nairobi, Mombassa and Kisumu. Nakuru Hope's: Gabriel Learning Centre is located 2kms from the main town of Nakuru in a slum area named Kaptembwa. Over 200,000 live in the most destitute conditions without food, clean drinking water and sanitation. It is here that Nakuru Hope assists those lives that merely live on hope, through education, housing, medical help and being there when and wherever there is need. ​Nakuru Hope Inc. guarantees that 100% of your donation is used to its maximum potential for the future of those whose needs are great. ​Nakuru Hope Inc. a 100% not for profit registered charity owned and administered by an Australian Board of Directors.